fluid art photography - reflective water drop. Happy Fourth of July, 2018! 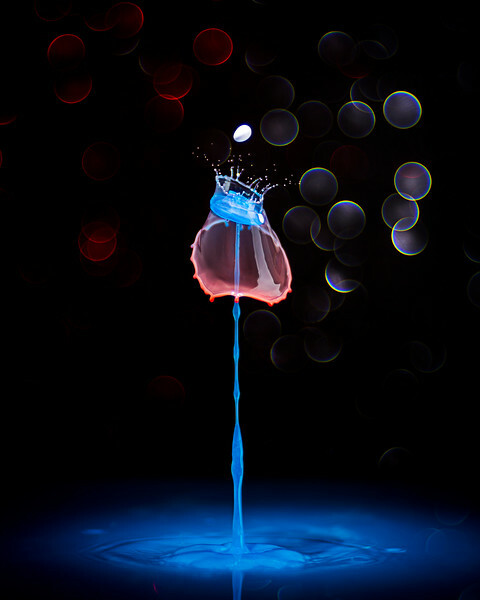 Fluid Sculpture: colored waterdrops colliding at high speed to form unique shapes.